What are container registries and why do we need them? Organisation – How can we organise container images in a meaningful way? Such as by environment state (Prod/Dev/Test) and application type? RBAC – How can we implement role-based access control to a container registry? Vulnerability Scanning – How can we scan container images for known vulnerabilities? Efficiency – How can we centrally manage all our container images and deploy an application from them? Security – Some images need to kept under lock and key, rather than using an external service like Docker Hub. VMware Harbor Registry has been designed to address these considerations as enterprise-class container registry solution with integration into PKS. In this post, We’ll have a quick primer on getting up and running with Harbor in PKS and explore some of its features. To begin, we need to download PKS Harbor from the Pivotal site and import it into ops manager. After which the tile will be added (When doing this for the first time it will have an orange bar at the bottom. Press the tile to configure). The following need to be defined with applicable parameters to suit your environment. Availability Zone and Networks – This is where the Harbor VM will reside, and the respective configuration will be dependent on your setup. Admin – Read/Write access, as well as project-level activities, such as modifying parameters and permissions. Therefore, facilitating RBAC within our Harbor environment. Pretty handy. Harbor provides us with an enterprise level, container registry solution. This blog post has only scratched the surface, and with constant development being invested into the project, expect more features and improvements. I’ve been eyeing up the VCAP6-NV exam for quite some time now, but due to work and personal projects I’ve not been able to focus on this exam. Having some time between jobs I decided to start revising and push myself into taking the exam. 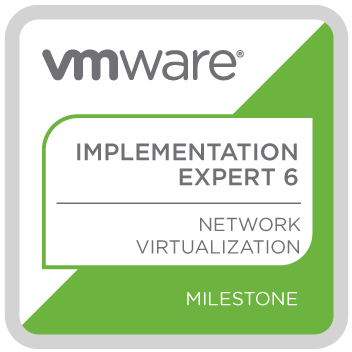 At time of writing, there is still no NV-Design exam, therefore, anyone who sits and passes the VCAP6-NV Deploy exam is automatically given the VCIX6-NV certification. I’m not a full on networking person. Back in the day (~10 years ago) I wanted to be, but the opportunities didn’t exist for me and I consequently went down a generic sysadmin path until ending up where I am today, primarily focusing on SDDC and cloud technologies. There are a lot of people who dive into NSX that do come from traditional networking backgrounds. For me, I found this quite intimidating, however the point is you do not have to be some kind of Cisco God to appreciate NSX, or pass this exam. Go over each section of the blueprint via vZealand’s guide in my own lab, following the instructions on the site. Go over each section of the blueprint without any initial external assistance, assess accuracy after each objective by checking the guide. Go over each section of the blueprint in a way where I was confident in going over the objectives from practice. Also, bear in mind the exam is based on 6.2 of NSX, therefore it’s a good idea to have a lab running on this version as there have been a number of significant changes since then. Time management – This is the third VCAP exam I’ve taken and with each the time has flown by. It really doesn’t feel like a long time when you’ve finished. I personally found the NSX VCAP exam much more demanding on time compared to the VCAP-DCV Deploy exam. I didn’t complete all my questions in the NV exam whereas I had about 30-40mins left when I took the DCV exam. Content – I feel like the exam was a pretty good reflection of the blueprint and was fairly well represented. HOL Interface – The Exam simulation feels very similar to the VMware HOL, including (unfortunately) the latency. The performance for my exam wasn’t great, but wasn’t terrible. Skip questions you’re not sure on – Time is an expensive commodity in this exam, if you’re struggling with some questions skip and move on. You may have time to come back to it later. I skipped a couple of questions. I passed, but not by much. But a pass is a pass and I was pretty chuffed. It’s definitely the hardest VCAP exam I’ve taken to date. For the uninitiated, VMware NSX comes in two “flavours”, NSX-V which is heavily integrated with vSphere, and NSX-T which is more IaaS agnostic. NSX-T also has more emphasis on facilitating container-based applications, providing a number of features into our container ecosystem. In this blog post, we discuss the microsegmentation capabilities provided by NSX-T in combination with container technology. The problem with this model, however, is the lack of control for resources that reside within the datacenter, aka east-west traffic. Thankfully, VMware NSX (-V or -T) can facilitate this, manifested by the distributed firewall. Because of the distributed firewall, we have complete control over lateral movement within our datacenter. In the example above we can define firewall rules between logical tiers of our application which enforce permitted traffic. Containers are fundamentally different from Virtual machines in both how they’re instantiated and how they’re managed. Containers run on hosts that are usually VM’s themselves, so how can we achieve the same level of lateral network security we have with Virtual Machines, but with containers? The NSX-T container plugin facilitates the exposure of container “Pods” as NSX-T logical switch ports and because of this, we can implement microsegmentation rules as well as expose Pod’s to the wider NSX ecosystem, using the same approach we have with Virtual Machines. Additionally, we can leverage other NSX-T constructs with our YAML files. For example, we can request load balancers from NSX-T to facilitate our application, which I will demonstrate further on. For this example, I’ve leveraged PKS to facilitate the Kubernetes infrastructure. To begin with, I declare two load balancers, one for each tier of my application. Inclusion into these load balancers is determined by tags. Next, I define the containers I want to run for this application. As expected, traffic between these two containers is permitted. So, lets change that. In the NSX-T web interface go to inventory -> Groups and click on “Add”. Give it a meaningful name. As for membership Criteria, we can select the tags we’ve previously designed, namely tier and app. NSX-T provides an extremely comprehensive framework for containerised applications. Given the nature of containers in general, I think container + microsegmentation are a winning combination to secure these workloads. Dynamic inclusion adheres to the automated mentality of containers, and with very little effort we can implement microsegmentation using a framework that is agnostic – the principles are the same between VM’s and containers. Applications and the underlying infrastructure, be it public, private or hybrid cloud are becoming increasingly sophisticated. Because of this, the way in which we monitor and observe these environments requires more sophisticated tools. In this blog post, we look at vRealize Operations and how it can be a facilitator of true hybrid cloud monitoring. Integrated Cloud Operations Console – A single, unified frontend to access, modify and view all related vRealize Operations components. Integrated Management Disciplines – vRealize Operations has built-in intelligence to assimilate, dissect and report back on a number of key operational metrics pertaining to performance, capacity, planning and more. Essentially, vRealize Operations “learns” about your environment and is able to make recommendations, predictions and much more based on your specific workloads. Platform Services – vRealize Operations is able to perform a number of platform management disciplines based on your specific environment. As an example, vRealize Operations can automate the addition of virtual machine memory based on monitored load, therefore proactively addressing potential issues before they surface. In this example, we leverage one of the vRealize Operation’s built-in dashboards to check the performance of a specific cluster. A dashboard in vRealize operations terminology is a collection of objects and their state, represented in a visual fashion. Without vRealize Operations it would be common for an administrator to try and collate these metrics manually, looking at individual performance charts, DRS scheduling information, and vCenter health alarms. However, with vRealize operations, this data is collected and centralised for easy and effortless exposure. We can access this section by navigating to Environment > vSphere Object. At which point we can select the resource we’re interested in forecasting into. The chart in the middle projects the disk space demand for this specific vSphere object (a cluster, in this example). Note how we have an incline in disk space demand, which is typical of a production environment, however, we are within capacity for the time period specified (90 days). Next, we fill in details pertaining to the demand. In this case, I’m adding demand in the form of 5 virtual machines and I’m populating the specification of these VM’s based on an existing VM in my environment with an implementation date of June 19th. By adding this project we have obviously created more demand, consequently, the date in which our disk space resources will exhaust has been expedited. Because we can combine projects into a single chart, we can see based on observed metrics what effect adding demand and capacity to our environment has. The defining characteristic of the Software Defined Data Center (SDDC), as the name implies, is to bring the intelligence and operations of various datacenter functions into software. This type of integration provides us with the ability to gain insights and analytics in a much more controlled, tightly integrated fashion. VMware NSX is the market leader in network virtualisation. In this post, we have a look at a selection of tools which come with NSX, enabling a greater understanding of exactly what is transpiring in our NSX environment. In this example, we assume that Server B is listening on port 8443. Disjointed – Treated as separate, discrete exercises. Isolated – Requires specific tools/skillsets. Decentralised – Analysis requires output to be crossed referenced and analysed manually. The VM in the example above has an IP of 172.16.201.10. We can see that itself is making DNS calls out to 8.8.8.8 as well as communicating with another machine with an IP of 172.16.200.10 over port 8443. Once this rule was modified we can re-run the test, which shows this traffic has been successfully delivered to the target VM. The Packet Capture feature in NSX-V enables us to generate packet traces from physical ESXi hosts should we wish to perform any troubleshooting at that level. As organisations are adopting software-defined technologies, the tools and processes we use must also change. Thankfully, NSX-V has a plethora of native capabilities to observe, identify and troubleshoot software-defined networks. Log analysis has always been a standardised practice for activities such as root cause analysis or advanced troubleshooting. However, ingesting and analysing these logs from different devices, types, locations and formats can be a challenge. In this post, we have a look at vRealize Log Insight and what it can deliver. vRealize Log Insight is a product in the vRealize suite specifically designed for heterogeneous and scalable log management across physical, virtual and cloud-based environments. It is designed to be agnostic across what it can ingest logs from and is therefore valid candidate in a lot of deployments. Additionally, any customer with a vCenter Server Standard or above license is entitled to a free 25 OSI pack. OSI is known as “Operating System Instance” and is broadly defined as a managed entity which is capable of generating logs. For example, a 25 OSI pack license can be used to cover a vCenter server, a number of ESXi hosts and other devices covered either natively or via VMware Content Packs (with the exception of Custom and 3rd party content packs – standalone vRealize Log Insight is required for this feature). The inconsistent format of log types – vCenter/ESXi uses syslog for logging, Windows has a bespoke method, applications may simply write data to a file in a specific format. This can require a number of tools/skills to read, interpret and action from this data. Silos of information – The decentralised nature of dispersed logging causes this information to be siloed in different areas. This can have an impact on resolution times for incidents and accuracy of root cause analysis. Manual analysis – Simply logging information can be helpful, but the reason why this is required is to perform the analysis. In some environments, this is a manual process performed by a systems administrator. Not scalable – As environments grow larger and more complex having silos of differentiating logging types and formats becomes unwieldy to manage. Cost – Man hours used to perform manual analysis can be costly. No Correlation – Siloed logs doesn’t cater for any correlation of events/activities across an environment. This can greatly impede efforts in performing activities such as root cause analysis. Below are examples of how vRealize Log Insight can address the aforementioned challenges. Create structure from unstructured data – Collected data is automatically analysed and structured for ease of reporting. Centralised logging – vRealize Log Insight centrally collates logs from a number of sources which can then be accessed through a single management interface. Automatic analysis – Logs are collected in near real-time and alerts can be configured to inform users of potential issues and unexpected events. Scalable – Advanced licenses of vRealize Log insight include additional features such as Clustering, High Availability, Event Forwarding and Archiving to facilitate a highly scalable, centralised log management solution. vRealize Log Insight is also designed to analyse massive amounts of log data. Cost – Automatic analysis of logs and alerting can assist with reducing man-hours spent manually analysing logs, freeing up IT staff to perform other tasks. Log Correlation – Because logs are centralised and structured events across multiple devices/services can be correlated to identify trends and patterns. It’s surprising how underused vRealize Log Insight is considering it comes bundled in as part of any valid vSphere Standard or above license. The modular design of the solution allowing third-party content packs adds a massive degree of flexibility which is not common amongst other centralised logging tools. In hindsight, I shouldn’t have bought a Netgear D7000 router. The reviews were good but after about 6 months of ownership, it decided to exhibit some pretty awful symptoms. One of which was completely and indiscriminately drop all wireless clients regardless of device type, range, band or frequency it resided on. A reconnect to the wireless network would prompt the passphrase again, weirdly. Even after putting in the passphrase (again) it wouldn’t connect. The only way to rectify this was to physically reboot the router. Netgear support was pretty poor too. The support representative wanted me to downgrade firmware versions just to “see if it helps” despite confirming that this issue is not known in any of the published firmware versions. Netgear support also suggested I changed the 2.4ghz network band. Simply put. They weren’t listening or couldn’t comprehend what I was saying. Anyway, rant over. Amazon refunded me the £130 for the Netgear router after me explaining the situation about Netgear’s poor support. Amazing service really. I’ve been eyeing up Ubiquiti for a while now but never had a reason to get any of their kit until now. With me predominantly working from home when I’m not on the road and my other half running a business from home, stable connectivity is pretty important to both of us. The EdgeMAX range from Ubiquiti looked like it fit the bill. I’d say it sits above the consumer-level stuff from the likes of Netgear, Asus, TP-Link etc and just below enterprise level kit from the likes of Juniper, Cisco, etc. Apart from the usual array of features found on devices of this type I particularly wanted to mess around with BGP/OSPF from my homelab when creating networks in VMware NSX. Ubiquti Edgerouters do not have a build in VDSL modem, therefore for connections such as mine, I required a separate modem. I managed to set up the pictured environment over the weekend fairly easily. The Ubiquiti software is very modern, slick, easy to use and responsive. Leaps and bounds from what I’ve found on consumer-grade equipment. I have but one criticism with the Ubiquiti routers, and that is not everything is easily configurable through the UI (yet). From what I’ve read Ubiquiti are making good progress with this, but for me I had to resort to the CLI to finish my OSPF peering configuration. The wireless access point is decent. good coverage and the ability to provision an isolated guest network with custom portal is a very nice touch. Considering the Edgerouter Lite costs about £80 I personally think it represents good value for money considering the feature set it provides. I wouldn’t recommend it for every day casual network users, but then again, that isn’t Ubiquiti’s market. The Ubiquiti community is active and very helpful as well. The Software Defined Data Center (SDDC for short) has become a widely adopted and embraced model for modern datacentre implementations. Conveying the benefits of the SDDC, particularly the non-technical aspects can be a challenge. In this blog post we take a practical example of a single activity we can automate in NSX and the benefits that come from it, both technical and non-technical. An API (Application Programming Interface), in simple terms is an intermediary that allows two applications to communicate with each other via a common syntax. Although we may not be aware of it, it’s likely we use API’s every day when we use applications such as Facebook, LinkedIn, vSphere and countless others. For example, when you create a logical switch in the vSphere web client, behind the scenes an API call is made to the NSX manager to facilitate that request. An entity can be a variety of NSX objects such as Logical Switches, Distributed Routers, Edge Gateways, Firewall rules, etc. Direct API calls via REST client – These can be made via clients such as Postman. These calls are static and are therefore suitable for one-off requests. PowerNSX – PowerNSX is a PowerShell module that enables the consumption of API calls via Powershell cmdlets. It’s an open source community project but is not supported by VMware. Also, not all API calls are currently exposed as cmdlets. API calls via code – API calls can be made from a variety of programming libraries (Powershell, C#, Java, etc) which add functionality by adding an element of dynamic input. We use this as an example in this blog. To illustrate the power of automating NSX via automation let’s take an example activity and break it down into respective tasks. In this example, we want to create an N-tier network (IE a network comprising of Web, App and DB tiers which are routable and sit behind a perimeter firewall). API calls are supported by VMware. The entire API ecosystem is exposed for consumption. Powershell can prompt the user for information, which is then used to dynamically populate API requests. All tiers of the network are created and managed by a single management plane. At which point the script outputs the total amount of time elapsed to construct this topology in NSX (including the time taken for the user to input the data for). We can see the ESG has learnt (by BGP) the networks that reside on our DLR. This is one of the almost endless examples of exposing and leveraging the NSX API. For anyone interested in the Powershell script – I intend to upload the code once I’ve added some decent input validation. Perhaps one of VMware’s most significant announcements made in recent times is the partnership with Amazon Web Services (AWS), including the ability to leverage AWS’s infrastructure to provision vSphere managed resources. What exactly does this mean and what benefits could this bring to the enterprise? To understand and appreciate the significance of this partnership we must acknowledge the position and perspective of each. VMware has a significant presence in the on-premise datacentre, in contrast to AWS which focuses entirely on the public cloud space. VMware cloud on AWS sits in the middle as a true hybrid cloud solution leveraging the established, industry-leading technologies and software developed by VMware, together with the infrastructure capabilities provided by AWS. The connection between the on-premise and AWS hosted vSphere environments is facilitated by Hybrid Linked Mode. This allows customers to manage both on-premise and AWS hosted environments through a single management interface. This also allows us to, for example, migrate and manage workloads between the two. Delivered as a service from VMware – The entire ecosystem of this hybrid cloud solution is sold, delivered and supported by VMware. This simplifies support, management, billing amongst other activities such as patching and updates. Consistent operational model – Existing private cloud users use the same tools, processes and technologies to manage the solution. This includes integration with other VMware products included in the vRealize product suite. Enterprise-grade capabilities – This solution leverages the extensive AWS hardware capabilities which include the latest in low latency IO storage technology based on Solid State Drive technology and high-performance networking. Access to native AWS resources – This solution can be further expanded to access and consume native AWS technologies pertaining to databases, AI, analytics and more. Because of how rapidly an AWS-backed software-defined datacenter can be provisioned, expanding an on-premise environment becomes a trivial task. Once completed, these additional resources can be consumed to meet various business and technical demands. Adding additional capabilities to an existing private cloud environment enables the division of duties/responsibilities. This enables organisations to separate out specific environments for the purposes of security, delegation and management. VMware cloud on AWS enables us to migrate N-tier applications to an AWS backed vSphere environment without the need to re-architect or convert our virtual machine/compute and storage constructs. This is because we’re using the same software-defined data centre technologies across our entire estate (vSphere, NSX and vSAN). There are a number of viable applications for VMware Cloud on AWS and it’s a very strong offering considering the pedigree of both VMware and AWS. Combining the strengths from each creates a very compelling option for anyone considering a hybrid cloud adoption strategy.